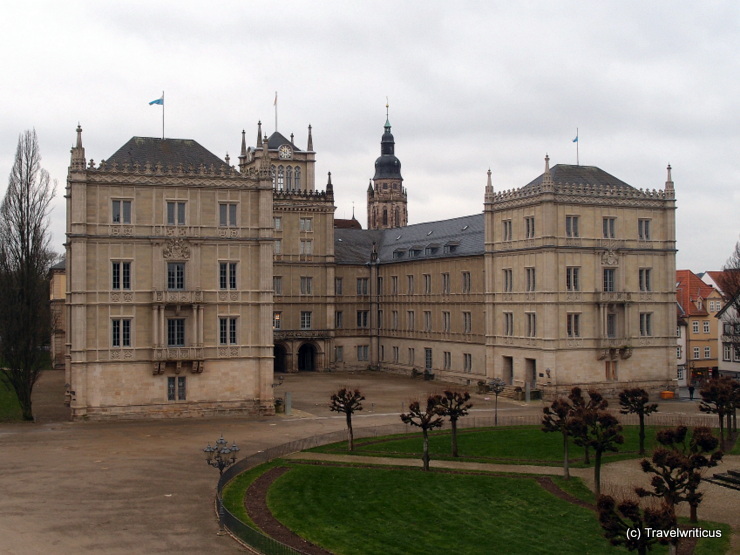 Ehrenburg palace (Schloss Ehrenburg) was the residence palace of the dukes of Saxe-Coburg until 1918. It was built in the 16th century from a Franciscan monastery. The present façade in English Gothic Revival style was designed by Karl Friedrich Schinkel in the beginning of the 19th century. The Coburg Riding Hall (Coburger Reiterhalle) is in the immediate vicinity of Ehrenburg Palace (Schloss Ehrenburg). It was built in 1852 according to the plans of master builder Georg Konrad Rothbart. 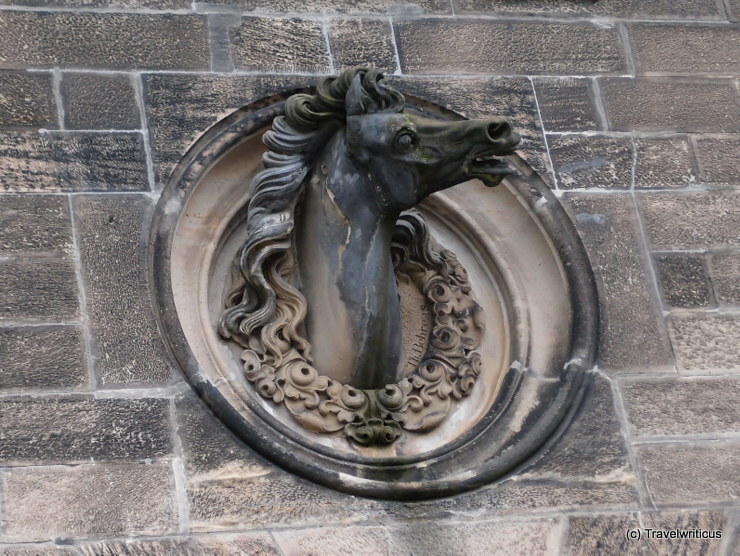 The sculptural horse’s head in the tondo directly above the pointed arch portal was created by Theodor Behrens. 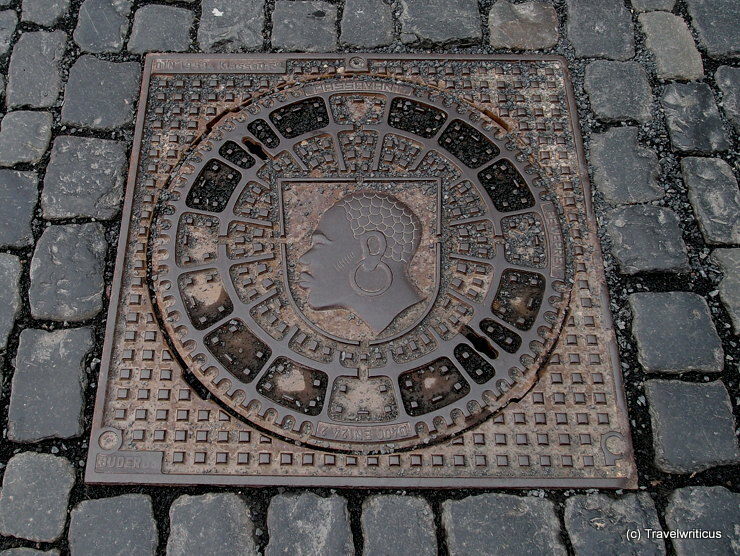 The manhole covers in Coburg show the city arms. 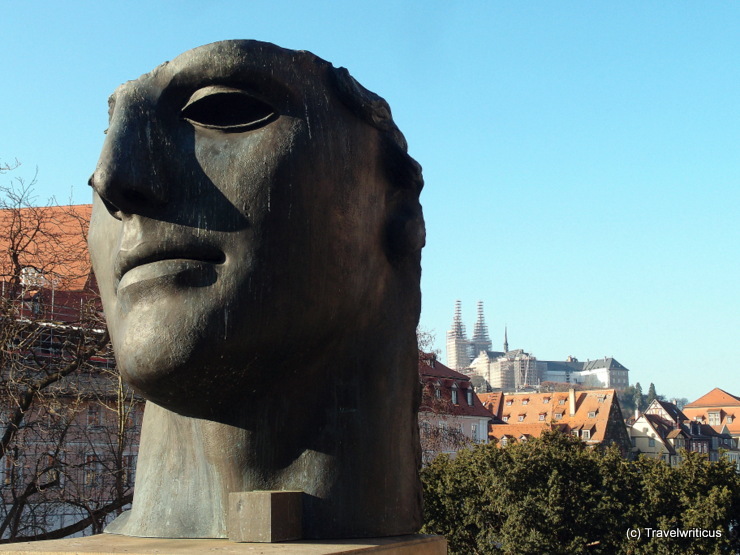 They display the head of Saint Maurice, the patron of the city. According to legend, Saint Maurice died as leader of the Theban Legion a martyr’s death in the 3rd century. In general, this depiction of him is known as Coburger Mohr (Coburg Moor). 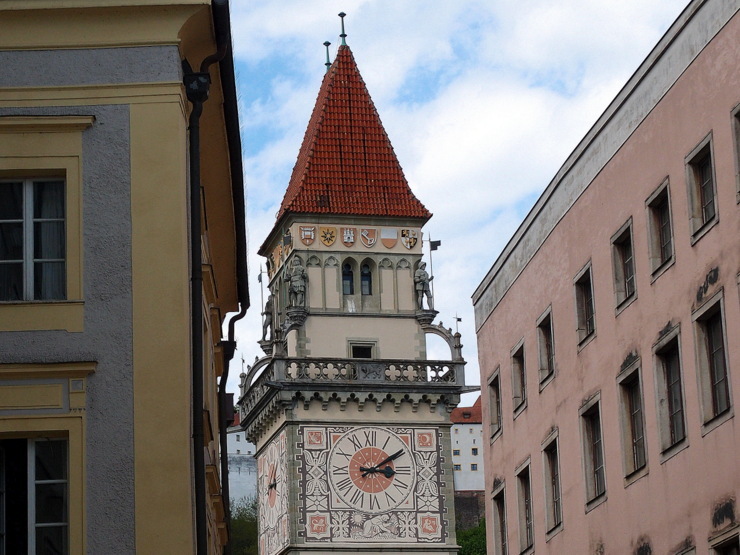 The tower of the city hall was erected between 1889 and 1892 by Heinrich Freiherr von Schmidt in neo-Gothic style. 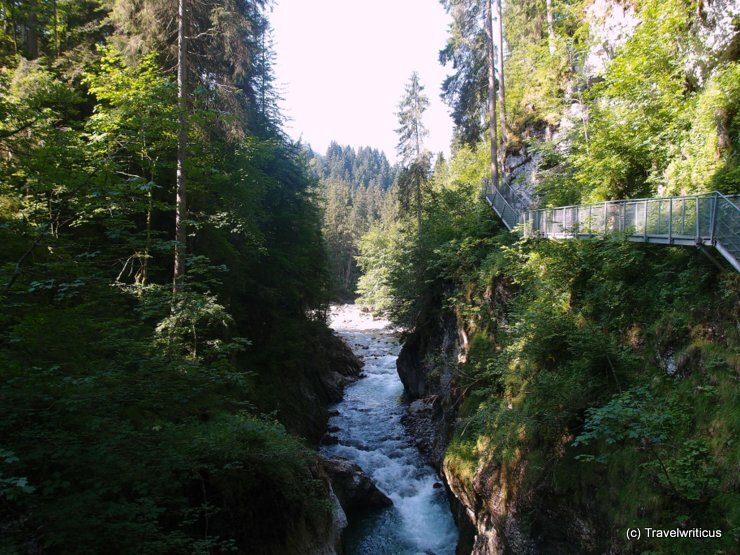 The Breitachklamm is a gorge located in Allgäu next to the border between Germany and Austria. On the German end of the gorge there is a helpful exhibition hall explaining the different parts of the gorge and how such a gorge come into being. 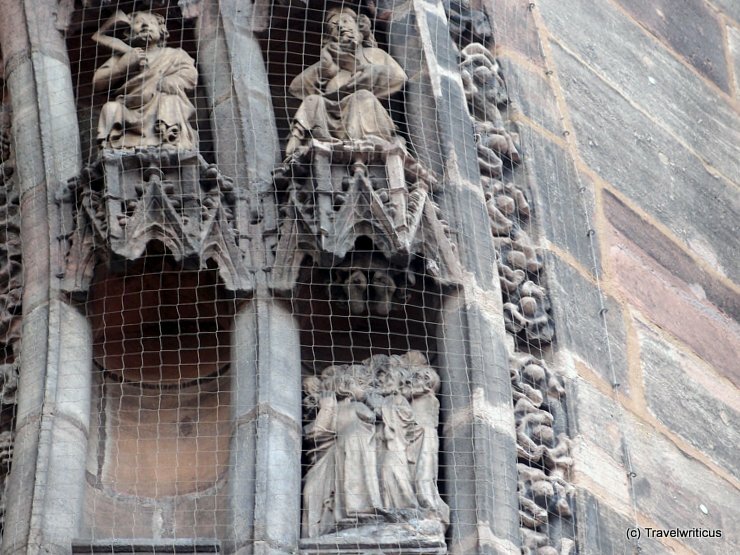 Fascinating modern architecture inside the walls of Nuremberg. 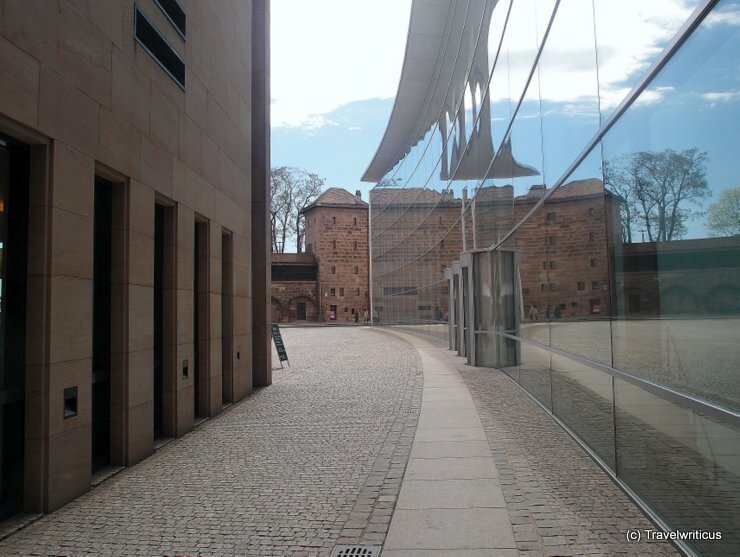 The glass façade of the ‘Neues Museum’ is mirroring the old town wall. By the way the museum is about modern and contemporary art as well as design. 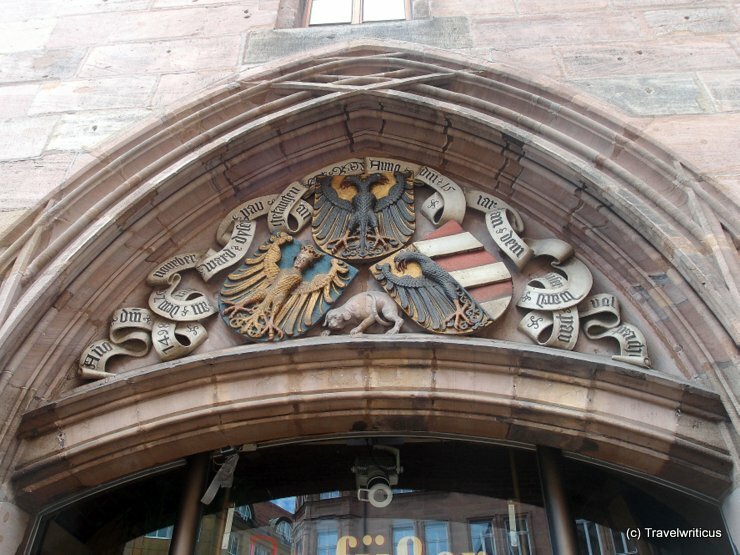 And now some history:On the left side the great emblem (Große Wappen) and on the right side the minor emblem (Kleine Wappen) of Nuremberg. The left one is generally used by administrative bodies whereas the minor one is used by some companies too. I was told this part at the tympanum of St. Lorenz is showing the ‘Ascension of Jesus’. For me this is really an odd illustration as one can see only the feet of Jesus. What do you think? 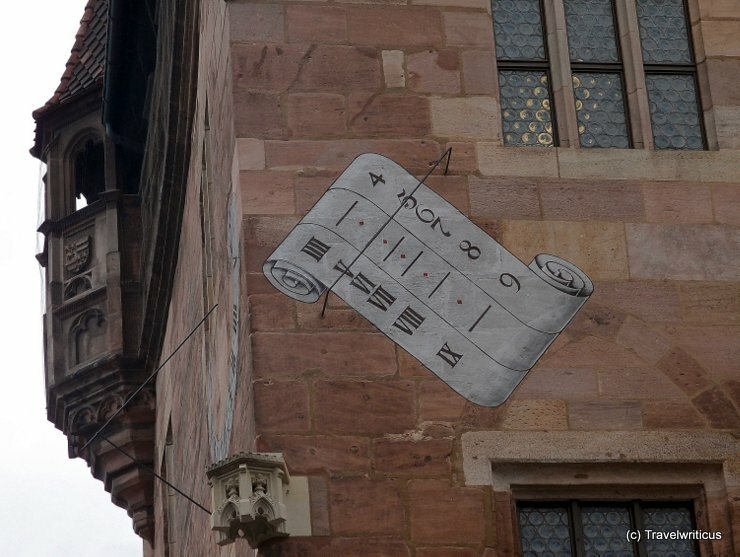 This sundial is located at the Nassauer Haus in Nuremberg. I love the design which reminds on a scroll. Around the corner, there is another sundial with a more common design.